The Phillies continued their rebuilding program today, as a New Year’s Eve trade sent veteran outfielder Marlon Byrd to the Cincinnati Reds in exchange for young righthanded pitching prospect Ben Lively. A deal involving Byrd heading to Cincy has been rumored for at least a week, but it was believed that talks between the two clubs had collapsed. This completed trade shows that was not exactly correct. Byrd was the Phils 10th Round selection in the 1999 MLB Draft. He broke into the big leagues in 2002, and played in parts of four seasons for the club into 2005. 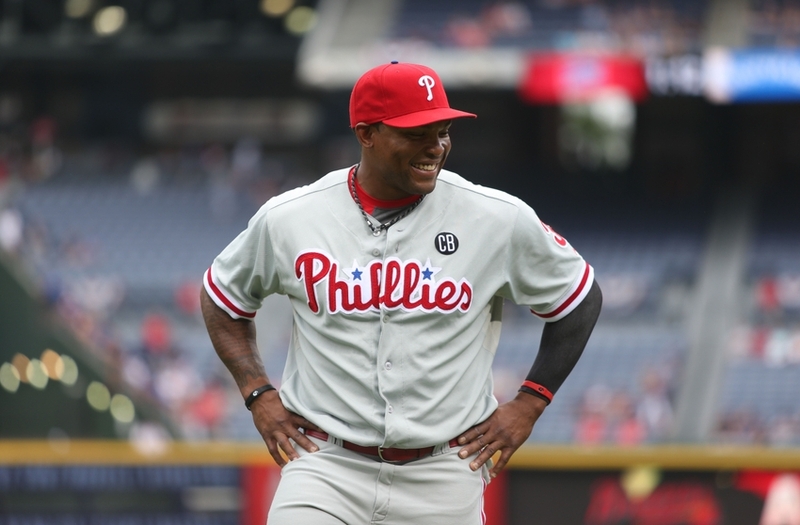 In May of that year, Byrd was dealt to the Washington Nationals for Endy Chavez. Including the Nats, Byrd would play for six teams over the next nine seasons. Then last November the Phillies signed Byrd as a free agent, bringing the 36-year old back in hopes that he could help squeeze one last-gasp postseason appearance out of an aging core. The 22-year old Lively was the Reds 4th Round selection in the 2013 MLB Draft out of the University of Central Florida. 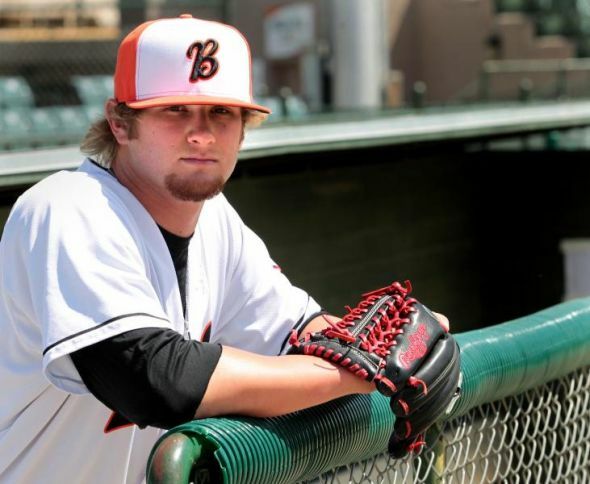 Lively advanced through two minor league levels in both 2013 and 2014 with a combined 13-11 record, and a 2.58 ERA. His secondary numbers were even more spectacular. Lively had a 227/65 K/BB rate over 192 innings in which he allowed just 140 hits. Baseball Prospectus named him the Reds #7 prospect following 2014, and he was named the Cincy organization Minor League Player of the Year. This becomes GM Ruben Amaro‘s 3rd trade so far in this off-season during which a publicly stated goal was dealing higher-salaried veterans for young building pieces. Particularly in this deal and the previous trade of Jimmy Rollins to the Dodgers, the Phils GM has brought back a trio of young arms who perfectly fit the bill in Lively, Tom Windle, and Zach Eflin. Whether any of these youngsters pans out for the Phillies, this has to be considered another trade that fits the direction in which the club wants to go. Amaro will now go back to work, looking to try to deal Ryan Howard, Jonathan Papelbon, Carlos Ruiz, and possibly even Cole Hamels as the rebuild continues.